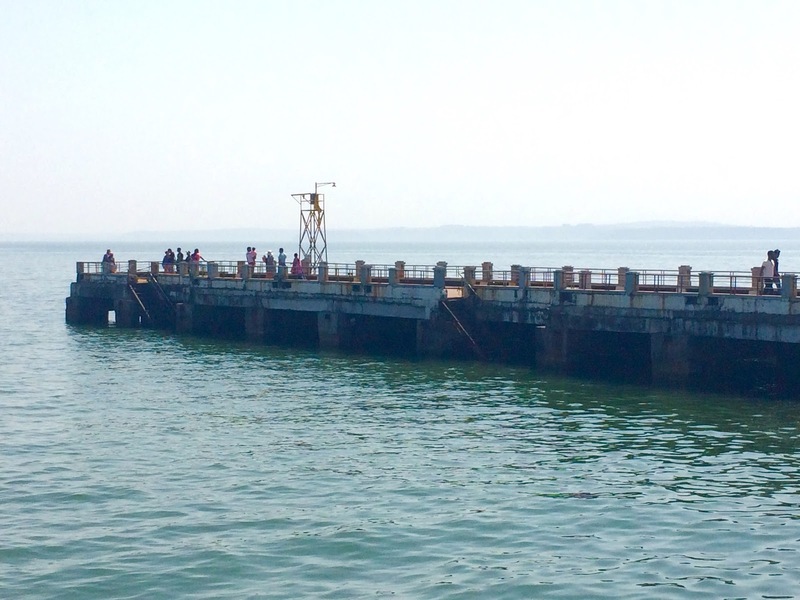 Dona Paula: 360 Degrees of Stunning Views! As you stand atop the viewpoint here, the soothing shades of blue that envelope you, transform you to another world. 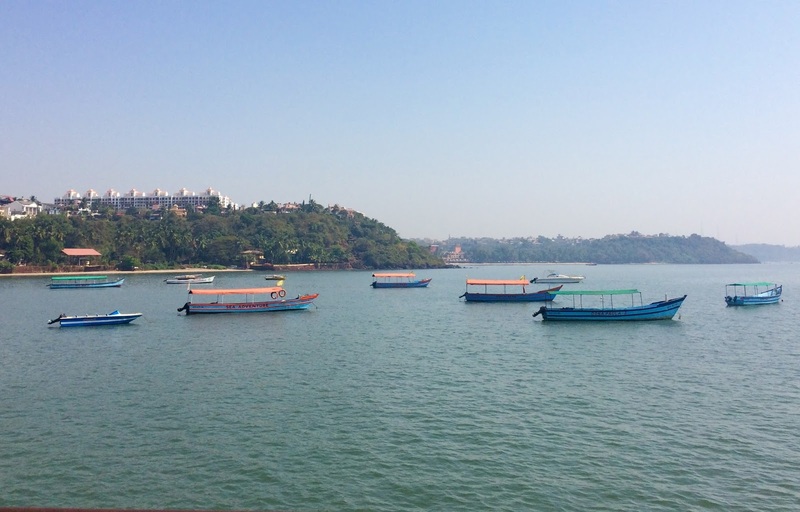 This serene, picturesque spot near Panjim is one of the most visited locales here. 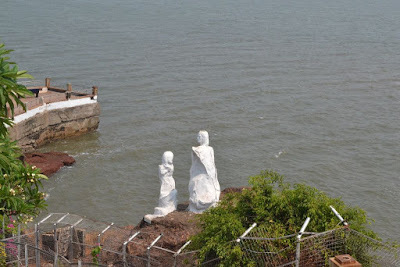 A visit to Dona Paula always features in the itineraries of those visiting Panjim, the capital city of Goa. A favorite location with several film makers, the stories surrounding this place are as interesting as the movies themselves! 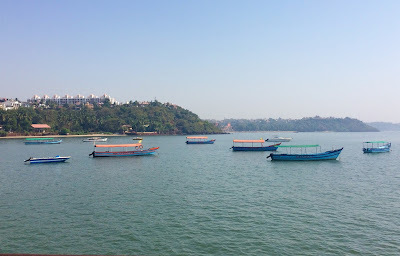 Situated at a spot where the two major rivers Mandovi and Zuari meet, before joining the Arabian ocean, Dona Paula village was originally a fishing village but has now emerged as one of the most popular tourist spots in Goa. When I come here on weekends, I see throngs of tourists armed with fancy cameras and selfie sticks vying with each other for that perfect spot to click beautiful pictures, capturing the panorama around. But the amazing part about this place is that no matter from where you click a pic, you can be guaranteed of an awesome background! Walking along the Dona Paula Jetty, you will find these flight of stairs leading up to the small sheltered hillock from where you can get spectacular views of the ocean, with the Madgaon port to one side and a beautiful palm fringed rocky landscape dotted with villas to the other side. 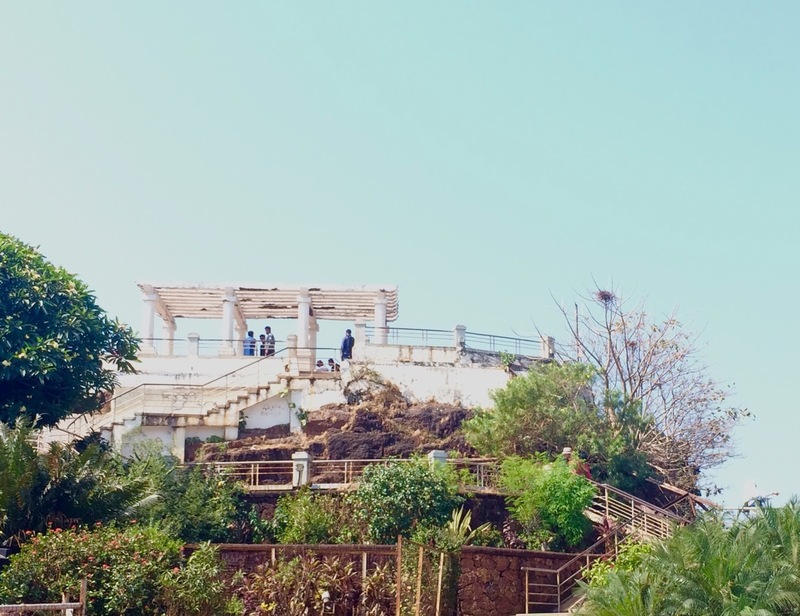 The steps leading up to spectacular views! She was the daughter of a Portuguese diplomat and was married to a very rich nobleman from Portugal. The kind hearted and generous Dona indulged in charitable activities, helping the poor and needy people of the village and hence the village got named in her honour as a sign of gratitude. Glad to know to know the facts, but I love the former tale! Then there is this statue that sits prettily on a rocky base, framed by the sea and is supposed to be sculpted by Baronness Yrse Von Listner. Now, the general interpretation of this sculpture (even according to the Goa tourism website) is that the two people in the statue are supposed to be representative of the Mother India and the new or young India - one pointing to the East and the other to the west, signifying the confluence of the two cultures and the half buried Ashoka's wheel (which is hardly visible now) represents the ancient Indian culture that is a basis for these thought processes. However there are those that argue that this statue was simply that of philosopher Robert Knox and his wife, a favorite philosopher of the baroness! well, quite obviously the actual stories behind these spots are plain and insipid hence the colorful stories that emerged over the time. You will find a lot of eateries near the parking place so you could choose from lunch options to tea and snacks at a reasonable price. 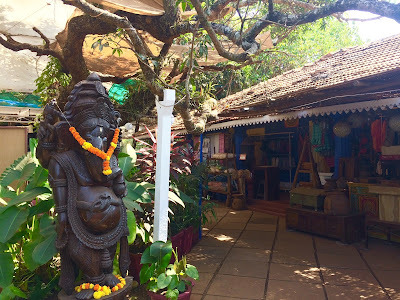 If you are in the mood to have a leisurely meal, go to The Goan Room, a few meters down the road. There is also a Dominos Pizza place nearby. But if you want to opt for fine dining, a small drive will take you to the Cidade de Goa nearby which comes a bit pricey but with great views of the sea to compensate for that. As for shopping, you will find a line-up of street vendors selling beach clothes and trinkets as you walk up to the jetty. so be ready to bring out your bargaining skills. There is also a shop where you can get souvenirs as well as a host of other things like swim wear, beach accessories, surfing boards and even kids toys. Dona Paula has a host of luxurious resorts and villas overlooking the sea. 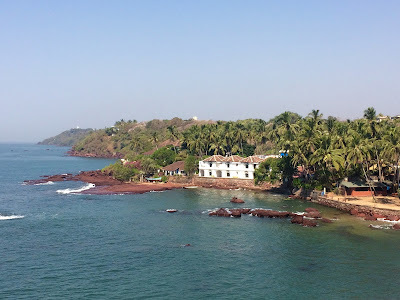 So if you want to holiday in a quiet serene setting without going too far from the capital city, Cidade de Goa or the gorgeous O'Pescador, located by the sea are a great way to relax in the lovely ambiance of Dona Paula. There are also a lot of good budget accommodations in the area.